73.5 million people in the U.S. alone have a criminal record. To put that in perspective, that’s one in three working-age adults, convicted for everything from fishing without a license to teenage traffic violations (and serious crimes too, of course). That record can follow a person around for decades, even if they’ve turned their life around. And if your company uses auto background check software, you may be screening them out before you have a chance to see what they’re made of. To avoid missing out on qualified candidates and reduce potential bias in your process, here are some things you should know before ruling out hiring people with criminal records. There’s a strong business case for hiring candidates with criminal records. Ex-offenders tend to be engaged and productive, with a strong work ethic. They’re also often extremely loyal to the company that gives them their second chance, staying in the job longer. One company that discovered the effect hiring ex-offenders can have on retention was Electronic Recyclers International. Before the company created a program to welcome ex-offenders into the workforce, its turnover rate was 25%. After hiring more employees with criminal records, this dropped to 11%. One reason for this might be that hiring ex-offenders can change their lives for the better and help them find stability. Studies show that the sooner someone with a criminal record finds stable work, the less likely they are to be arrested again or become homeless. In Maryland, for example, the statewide recidivism rate is about 40%—but for ex-offenders who reach the six-month milestone at their new job, that rate drops to zero. Almost 75% of ex-offenders are still unemployed within a year of being released from prison. But societal attitudes about hiring or working with ex-offenders are gradually changing for the better. In 2002, more than 60% of employers said they would probably or definitely not hire candidates with criminal records. But a recent survey found that only 26% of managers and 16% of HR professionals are still unwilling (or completely refuse) to hire a candidate with a criminal record. And the majority of employees are willing to work with them—55% of managers, 51% of non-managers, and 47% of HR professionals say they’re open to the idea, while others have no strong feelings either way. Working Chance, a U.K. recruitment consultancy dedicated to helping women with criminal convictions find work, reports that attitudes are a lot different now than they were ten years ago. It’s hard to pinpoint why this change is taking place. 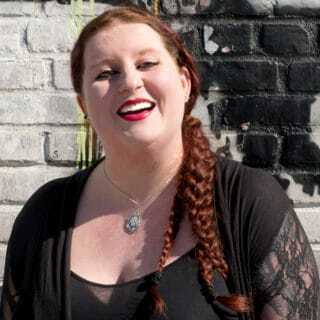 But the popularity of shows like "Orange Is the New Black" has definitely helped raise public awareness of the struggles faced by current and former prisoners, helping to humanize a group of people who are sometimes forgotten. The labor market is getting tighter. Unemployment is at its lowest rate since 2000, and overlooking a significant segment of the talent pool makes competitive roles even harder to fill. Remember, we’re talking about one in three U.S. adults. That’s an enormous amount of untapped potential. With countless companies struggling to find enough qualified candidates, being at least open to the possibility of hiring an ex-offender can give you a real competitive advantage—both in terms of attracting candidates and showing the world that your company cares. Take Greyston Bakery, which creates the brownies found in Ben & Jerry’s ice cream. With the aim of helping people like ex-offenders find work, the New York-based company has operated an “open hiring” policy since 1982, meaning that candidates can put their name on a list and walk right into a job when there’s an opening—no background checks or references required. Today, around 65% of Greyston’s employees have spent time in prison. This hiring policy makes it easy for Greyston to find and retain productive and enthusiastic employees. The $20 million company has a lower turnover rate than its competitors and reports no increase in workplace theft. Better yet, it says its commitment to inclusivity provides a competitive advantage in the marketplace, as its buyers connect with and support its social mission. While you may not be ready to adopt an open hiring policy, making your policies more inclusive can help you find hidden talent. You’re looking for the best person for the job, and that person might have a criminal record—causing other companies to potentially overlook them. In fact, 53% of HR professionals and 50% of managers agree that the top reason for hiring an ex-offender is simply that they’re the best person for the job. For some companies, the cost and effort of running countless background checks has led to a shortcut—one that introduces bias into the process and limits the pool of available talent. If a company’s ATS system is set up to automatically reject candidates who tick the criminal conviction checkbox, these candidates never get the chance to show what they’re made of. Even if these applications are considered, that checkbox can lead to unconscious bias. Candidates with criminal records are half as likely to be called back for an interview. To avoid missing out on great candidates, many companies are removing the conviction history question from their job application altogether. The “Ban the Box” campaign has made a major push for this in recent years, with 31 U.S. states, the District of Columbia, and over 150 cities and counties adopting fair chance hiring policies or laws. Removing this question gives you a chance to get to know the candidate and assess their skills before finding out any potentially biasing information about their background. You can still run a background check at a later point. But when you do, you’ll be better equipped to judge them fairly and understand whether their potential outweighs the risk. This is something that Johns Hopkins discovered in the 1990s. The economy was strong, unemployment was low, and it was tough to find hospital workers. Since running background checks was eliminating a huge number of applicants, the health system began conducting them only after a conditional offer of employment was made. This allowed candidates to show that they’re right for the role before their background was taken into account. That way, when the HR department considered mitigating factors like the type of offense and how long ago it took place, the team could think about the person and not just the crime, helping them make a fairer judgment call. Today, 5% of the health system’s 18,000+ employees has a criminal record. You can also use technology to help remove bias and find the best candidates. 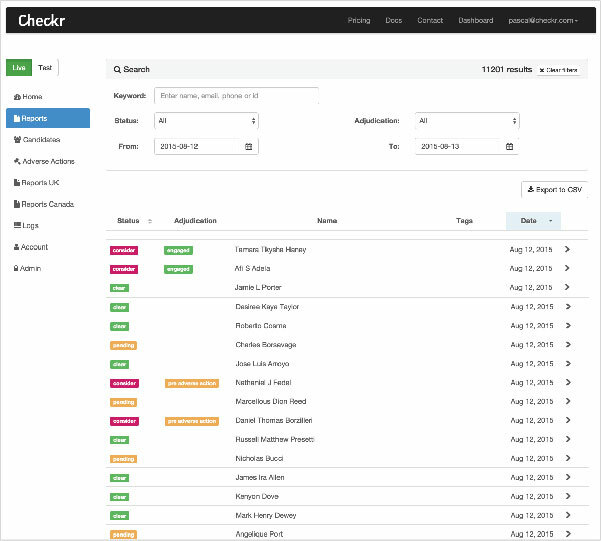 One company that offers background check software is Checkr. Using artificial intelligence (AI), Checkr automates background checks to make the process quicker and easier. At the same time, the software corrects for potential bias. Companies are able to customize it to ignore blots on the record that happened outside a certain window (say, a drunk and disorderly arrest from your college days). Or, they can choose to ignore data about convictions that aren’t relevant to the job, while still spotting red flags that matter. Uber, Grubhub, Lyft, and more already use this software to take bias out of the equation. In 2017, Checkr says it helped place 8,000 candidates with criminal records who might otherwise have been automatically screened out—and it hopes to help ten times that number in 2018. For more help making your hiring policy fairer, you can also check out this handy guide from the ACLU. As competition for talent becomes tighter, gaining a broader view of the talent pool gives you a serious competitive advantage. By rethinking criminal record checks, you’ll not only be able to tap into a vast pool of loyal, hard-working, and overlooked candidates, but you’ll also be making a real difference in people’s lives.